Hoodia is a stimulant-free herbal food found naturally in the deserts of South Africa and Madagascar. For generations the Kalahari Bushmen who carry very little food with them in order to remain fleet-footed have used Hoodia while on long hunting trips that often lasted several days at a time. Hoodia gordonii, also known as Bushman’s hat, is a leafless spiny succulent plant. It grows naturally in South Africa and Namibia. As a dietary supplement, it exists a powder, pill, or liquid extract. 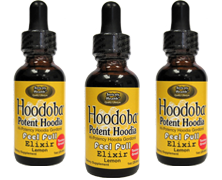 Q: How should Hoodoba Hoodia™ be taken? Suggested use varies depending your need for taking a Hoodia. Day 1-14: Pills: Take 2 vegetarian capsules 3 times daily with a full glass of water 45-60 minutes before meals. Liquid: Hold 1-2 droppers full under tongue for 2-3 minutes, swallow remaining liquid and follow with a full glass of water 3 times daily 15 minutes before meals. Day 15 and beyond: Pills: Take 1-2 vegetarian capsules 3 times daily with a full glass of water 45-60 minutes before meals. Liquid: Hold 1 dropper full under tongue for 2-3 minutes, swallow remaining liquid and follow with a full glass of water 3 times daily 15 minutes before meals. 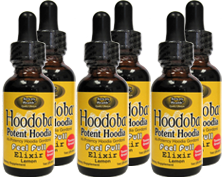 Q: Where is Hoodoba™ Hoodia made? 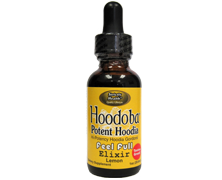 Hoodoba™ Hoodia is made in the USA in a cGMPs FDA approved facility. In August 2002, the FDA created a regulatory standard for ensuring pharmaceutical quality products for human consumption known as the Good Manufacturing Practice (cGMPs). The cGMP initiative ensures appropriate design, monitoring and control of manufacturing processes and facilities. These standards are set to make sure that all products made in the facility meet strict standards set by the new FDA guidelines. 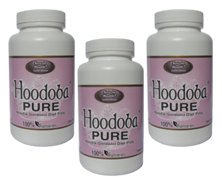 Q: What is the best time to take Hoodoba Hoodia™? 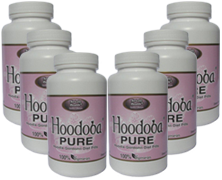 The best time to take Hoodoba Hoodia is 15-30 minutes before meals. You must contact us here for a return authorization number prior to returning any merchandise. If for whatever reason you change your mind on a purchase, you may return the items within 30 days from the order date. You will receive a full refund for unopened items in the original form of payment and merchandise credit for one (1) opened item, less shipping and handling. All returns are subject to a 20% restocking fee. A valid return authorization number must be on the shipping label or we will refuse the package. Wholesale purchases are not subject to return. Click here for an RMA form. Our industry best 60 Day Money Back Guarantee states that either you’re 100% satisfied, or your money back per our return policy — it really is that simple. And we’re giving you 60 days to test-drive our product and premium level of service to prove it to you! Our customer service team is here for you. If there is anything we can do, please call us at 1-800-570-7450 and we will ensure you are taken care of immediately. Copyright © 2017 hoodobadiet.com. All rights reserved. These statements have not been evaluated by the FDA. This product is not intended to prevent, treat, cure or diagnose any disease. The information provided on this site is intended for your general knowledge only and is not a substitute for professional medical advice or treatment for specific medical conditions. Always seek the advice of your physician or other qualified health care provider with any questions you may have regarding a medical condition. The information on this website is not intended to diagnose, treat, cure or prevent any disease. Never disregard medical advice or delay in seeking it because of something you have read on hoodobadiet.com. Products sold on this site are for personal use and not for resale. 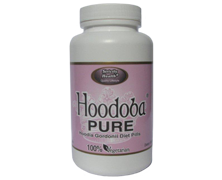 All orders placed through this website are subject to hoodobadiet.com’s acceptance, in its sole discretion. 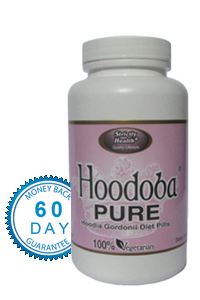 This means that hoodobadiet.com may refuse to accept, or may cancel, any order, whether or not it has been confirmed, without liability to you or any third party.